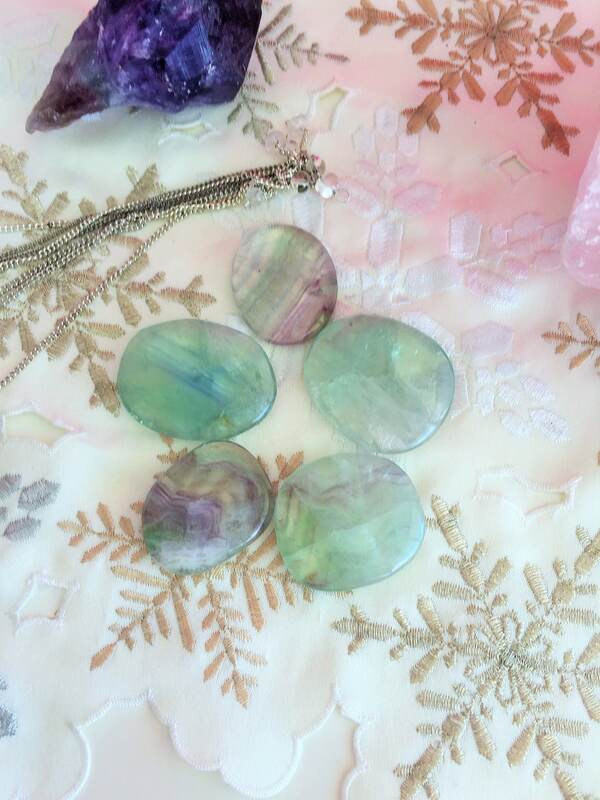 Receive ONE beautiful SURPRISE Green and Rainbow fluorite palm stone. Every stones is unique and one of a kind- just like in the pictures. 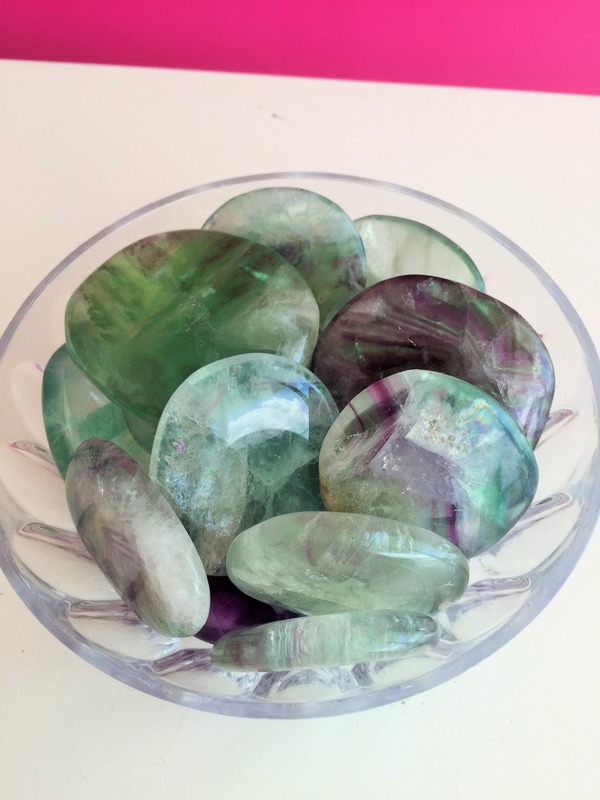 These healing crystals and stones come in a combination of greens, from pastel to bright and dark green layers and swirls. 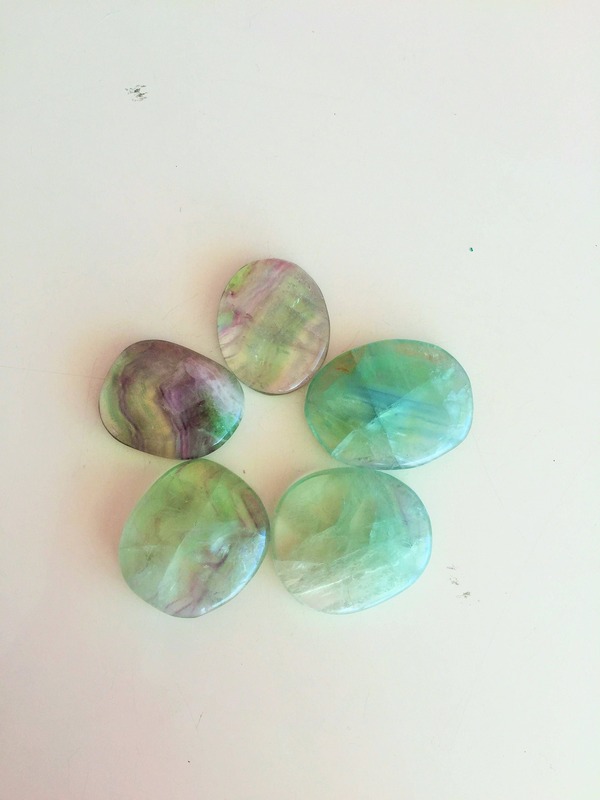 Some are more pastel with more clarity and some are darker, more semi-translucent to opaque. Hold them up to the light and see the hidden magic - most have multiple layers, light reflecting internal structures and even rainbows. 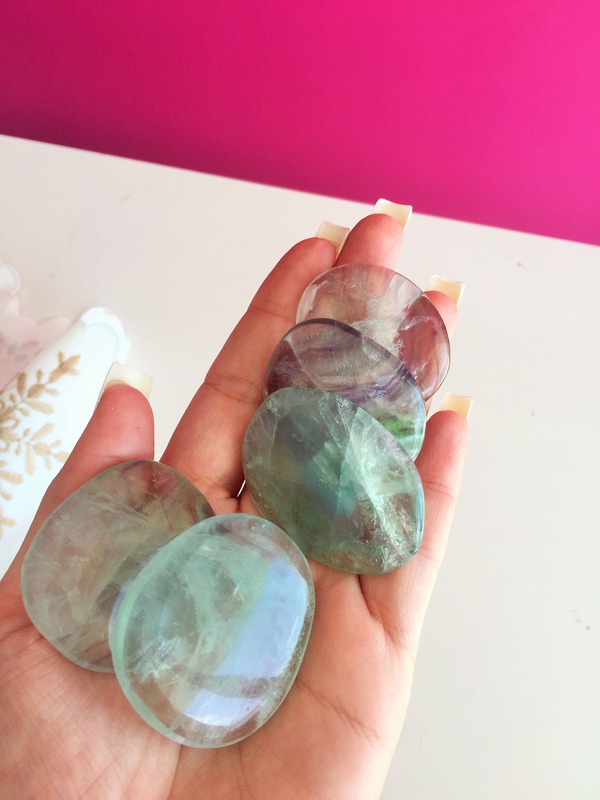 All the fluorite healing properties are similar to a certain extent, but each different color has a few extra special qualities. 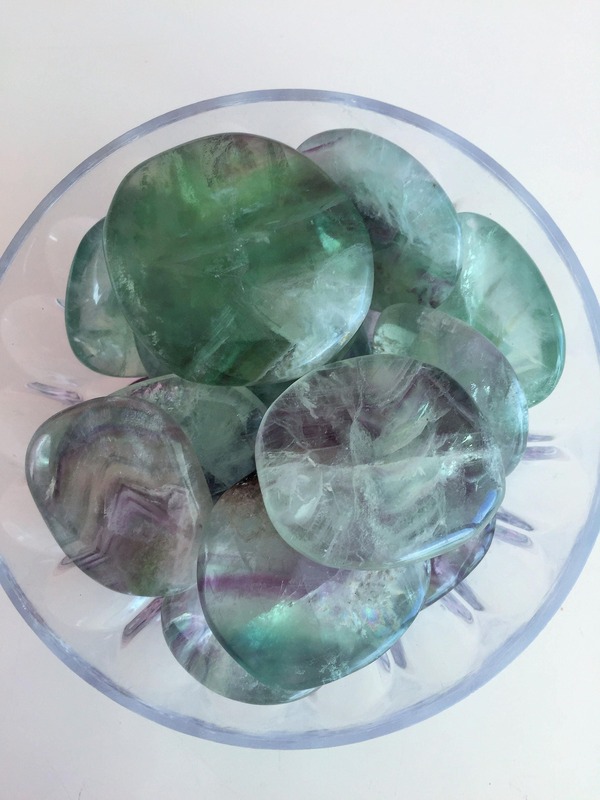 -A GREEN fluorite crystal is very healing on all levels, but it is especially connected to the heart chakra. It helps with emotional trauma and increases your ability to solve any heart based issues. It is very calming, but at the same time, gives you the needed courage to expand your heart and embrace universal love. 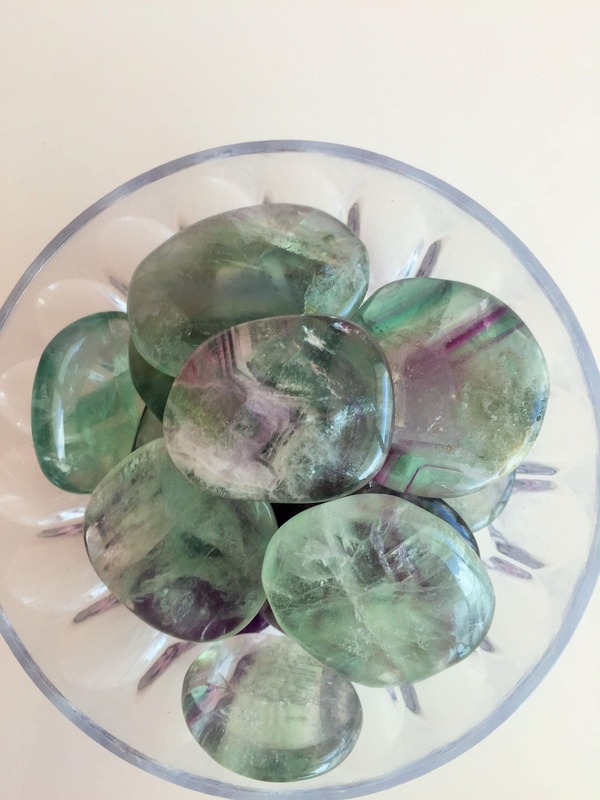 A green fluorite crystal is wonderful for personal growth. 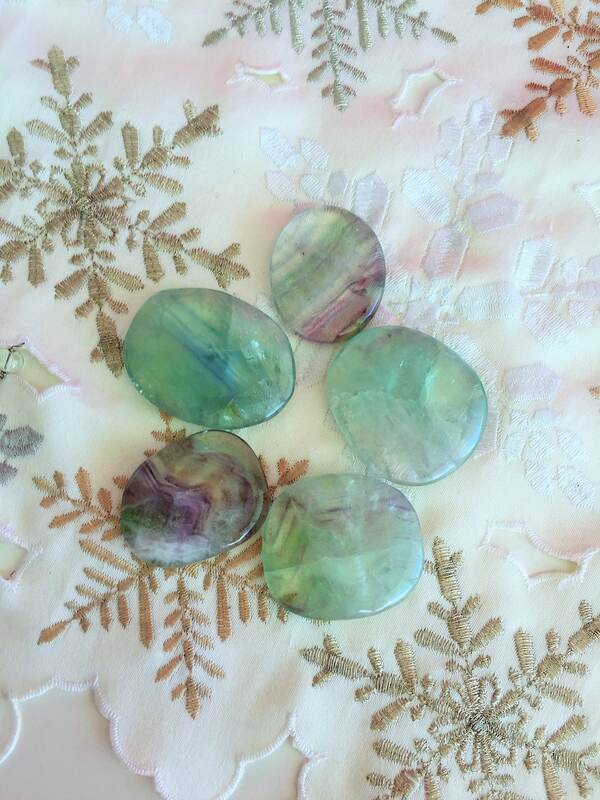 -A BLUE fluorite crystal aids in communication and enhances creativity. It calms and revitalizes your energy field while simultaneously promoting peace and serenity. It carries very strong spiritual energies. 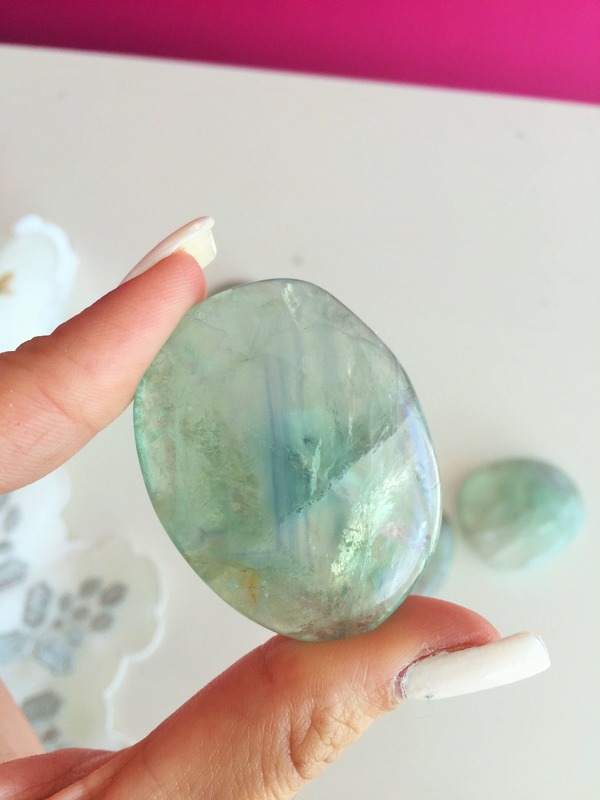 -WHITE / CLEAR Fluorite brings mental, emotional and spiritual clarity. 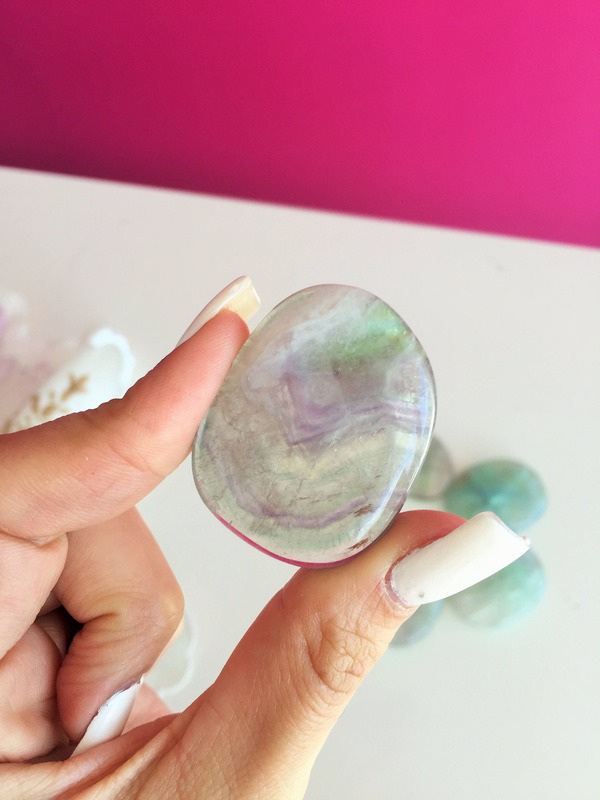 It amplifies intuition and psychic abilities, when used for meditation, White Fluorite alleviates feelings of guilt, shame and jealousy.